Quobba station is located on the southern tip of Ningaloo Marine Park. The West Australian coast is home to a number of working stations, vast and isolated and perfect for escaping the rigours of city life. Some of these stations offer basic camping and accommodation sites around their property to allow visitors a glimpse into life on the land. 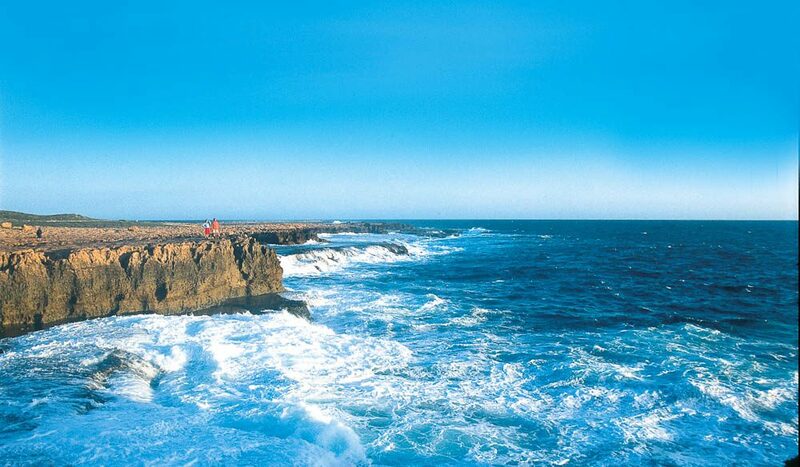 Quobba Station is located northwest of Carnarvon at the southern tip of the Ningaloo Marine Park. The station boasts 80 kilometres of coastline renowned for its excellent fishing, dynamic surf and pristine white beaches. Accommodation on the property ranges from simple chalets to transportable shacks, old shearers quarters and basic camping facilities. Quobba Station is also home to Red Bluff, another cluster of accommodation options situated on the Red Bluff cliffs. Here, you can choose ‘glamping’-style luxury eco-tents or go true surfing safari style in no-frills beach shacks. For current rates and to book, visit quobba.com.au, or phone 08 9948 5098 (Quobba Station) or 08 9948 5001 (Red Bluff).